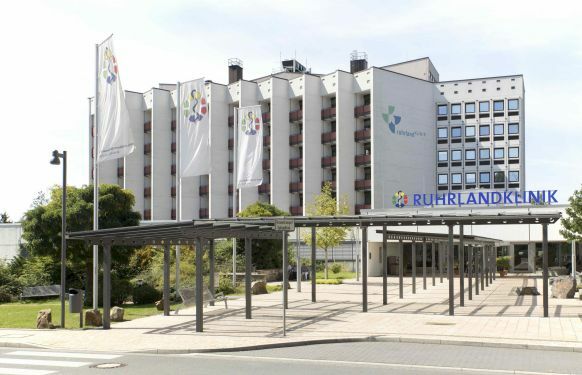 The Ruhrlandklinik as the West German Lung Centre is one of the leading hospitals for surgical and drug treatment of all respiratory organ disease. As part of the Universitätsmedizin Essen the Ruhrlandklinik’s specialists cooperate on an interdisciplinary basis with many other specialists and specialist centres of the Universitätsklinikum Essen. 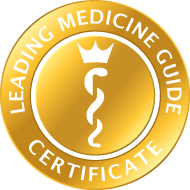 The Clinic for Pneumology offers every pulmonary medical treatment at the highest medical level. Under the direction of Prof. Dr Christian Taube, the hospital is specialised in pathologies such as chronic obstructive pulmonary disease, lung cancer, work-related lung disease, infections, genetic lung disease and pleural disease as well as rare lung diseases. Personal care for patients is always the prime focus for the team. The interventional bronchology and pneumological palliative medicine section of the Clinic for Pneumology at the Ruhrlandklinik is particularly focussed on lung diagnostics. Rapid diagnosis, especially for abnormalities and unclear results, is a key strength of the hospital. Precise and fast resolution is very important, especially in lung cancer – for the prompt start of therapy and not least to save the patient protracted uncertainty and unnecessary worry. 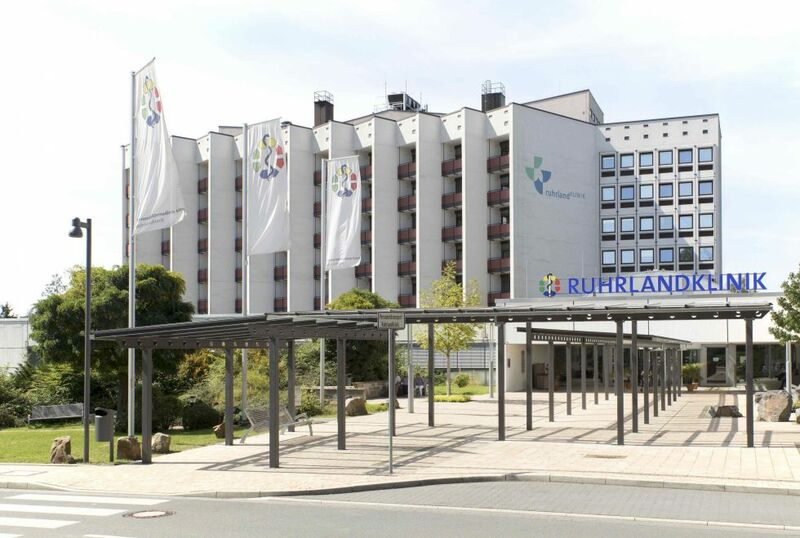 The bronchoscopic department of the Ruhrlandklinik is the largest across Germany and one of the largest lung cancer diagnostics centres. About 6,000 bronchoscopies are performed here each year. The Head of the Interventional Bronchology section is Dr med. Kaid Darwiche. As a specialist in internal medicine and pneumology, drug tumour therapy, sleep medicine, diving medicine and allergology he is specialized in lungs and lung diagnostics and also in developing individual treatment approaches. Dr Darwiche and his colleagues have modern highly-efficient medical techniques available enabling them to make precise diagnoses, i.e. first and foremost endoscopic and imaging procedures. Bronchoscopy (also: endoscopy of the respiratory system) is of major importance. The specialists introduce camera optics and a glass fibre light on a thin, flexible tube through the nose or mouth into the respiratory system allowing it to be viewed on a screen in real time and with various light techniques. Even the smallest tissue changes can be identified excellently by this means. Minimally invasive diagnostics allow tissue samples to be atraumatically removed and immediately examined in the laboratory (on-site diagnostics), achieving very fast clarity about the disease and saving the patient an invasive diagnostic procedure. Recognition of lung cancer at a very early stage enormously improves the treatment prognosis. As part of a bronchoscopy Dr Darwiche and his team can also use other special probes which, for instance, feature laser or ultrasound or can dispense heat or cold. Implantation of stents also forms part of the range of services of the Clinic for Pneumology’s Interventional Bronchology section. Thus it is possible to remove tissue by minimally invasive means, clear the respiratory system and relieve dyspnoea. These procedures form part of pneumological palliative medicine and bring about a direct improvement in life quality. The second pillar of the section is interventional treatment for patients with advanced pulmonary disease, such as asthma or COPD/pulmonary emphysema. Using various newly developed procedures (such as implantation of small valves into the respiratory system) success is usually achieved in improving symptoms where drug therapies have failed to make further improvement.